it's everywhere! You're reaching a breaking point until a song comes on that stops you dead in your tracks. You know the one. It starts out with a cute little chime, a little jingle, opens up with brassy vocals and your eyes grow two sizes bigger just like the Grinch's heart. You immediately don't feel so bad maxing out credit cards, buying all the things and working all the hours to make Christmas happen. After 20 years, Mariah Carey's "All I Want For Christmas Is You" may very well be still be the greatest Christmas song of all time. Sorry, Christmas music purists. Also sorry if that made you feel old. "All I Want For Christmas Is You" was the lead track on Mariah's Christmas album, the appropriately titled Merry Christmas, (the MC was stylized just like Mariah's name because her design team are geniuses). The record was released early in Carey's career (between Music Box and Daydream, classic albums in their own right) taking advantage of the young singer's growing fan base and the need for contemporary holiday music. The album featured a mix of original music and classic holiday songs showcasing her distinctive vocal dexterity, urban credibility and blossoming relevance in the music world. 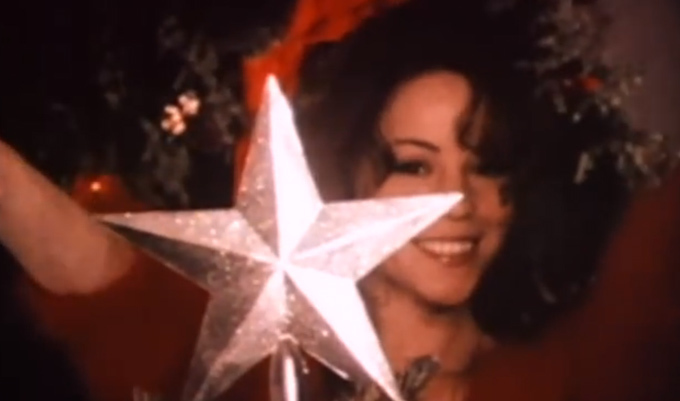 Mariah was ushering in a new age of pop sensibility to what could have been a very stale holiday pop music market. There are only so many variations of "White Christmas" one can take before completely losing their minds. Perhaps what made the album stand out at the time was that very few, if any, new holiday music was being released outside of the standard holiday classics. Band Aid's "Do They Know it's Christmas" was released in 1984, Wham's "Last Christmas" was released in 1986, and Run DMC's "Christmas In Hollis" was released in 1987. The arrival of Merry Christmas meant a whole new generation of music lovers would have music that reflected their sound and the sound of the holiday season. The song follows the tried and true pop formula of a great chorus, simple melody and playfulness that one expects from an era that was focused on having a great time with music. It draws from a deep well of central themes presented in other holiday classics, creating a potent mix of holiday cheer. AIWFCIY features the trappings of a traditional Christmas song  the jingling bells and carolers  but what absolutely sells it is the fact that it really just tells the story of a girl who just wants some love for Christmas. Even if one were to remove the parts mentioning Christmas (all I want for Easter, Graduation, Autumnal Equinox) it would still be a song about wanting someone or something to be yours. Think about this: when the song was first released, it was at the height of Mighty Morphin Power Rangers fever, so that song could've easily been about getting all five Rangers, a Mega Morpher, the official costume (red ranger, of course) and the Megazord for Christmas. It's about the things we desire most being fulfilled because of the magic that the holiday season inspires. As soon as you hear it, it automatically felt like Christmas and that's really what you want from a great holiday song. Maybe it's just the way Mariah sings it, the way producer Walter Afanasieff arranged the melody, maybe it's just that we got sick of listening to the same old same old, but the song captures a bright spot in what can sometimes be a trying part of the year. You could be stressed out, angry, unemployed, miserable, or alone, but something about that melody immediately brings you to a better place, even for a little while. It's the universal message of promise, of love, of peace that the world really needs that elevates the track above it's predecessors. That's not to say "White Christmas" or other holiday fare are terrible songs, but they tend to show their age in comparison to the flexibility found in AIWFCIY.